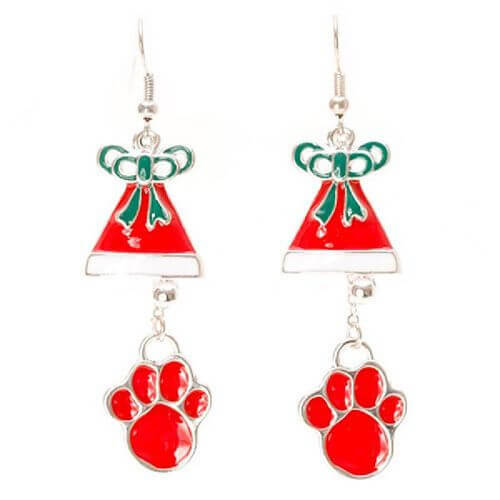 Get into the Christmas spirit with these fun festive Christmas earrings for pet lovers. Red Paw and Bell design. Hypo-allergenic nickel free.